When archeologists uncover a newly discovered city or artifact they look at other tangible evidence near the site to uncover what the artifact was used for or what life was like in the ancient city. They will look at records, cave paintings, or art to determine a way of life or they will do a sort of reverse engineering on the artifact to see what it was used for. This unfortunately is not always an option. There are some things left over from the ancient world and no evidence exists to suggest what the purpose of these artifacts were. This leaves the door wide open for multiple theories which often include human sacrifice, long lost religious ceremonies, or even visitors from outer space. Here are 5 such places. These are five of the most mysterious places in the world. The Nazca Lines are sort of like ancient crop circles that are located in the middle of the Nazca Desert in Peru. The lines are believed to have been created between 400 and 650 AD and depict hundreds of different figures including sharks, monkeys, spiders, lizards, llamas, and much more. Scholars have theorized that the lines were used for rituals, spiritual monuments, or to map astrological locations. These three leading theories all have some evidence to support them, but not enough to be conclusive. Others say that these theories ignore one important element of the Nazca Lines. How did the ancient Nazca people create these massive works of art without the ability of flight to see what they were creating? Some have suggested that we have underestimated ancient man and that the ancient people of the Nazca Desert had the ability to fly. Jim Woodmann was able to create a hot air balloon using only the technology that was available to the Nazcas. He believes that this is how the Nazcas constructed such wonders. Others have suggested that the lines were runways for advanced craft either from a long lost advanced civilization or from an alien culture. Visually some of the lines do resemble modern day runways and the others could just be murals created in respect to this advanced alien or Earthly civilization with the ability to fly. 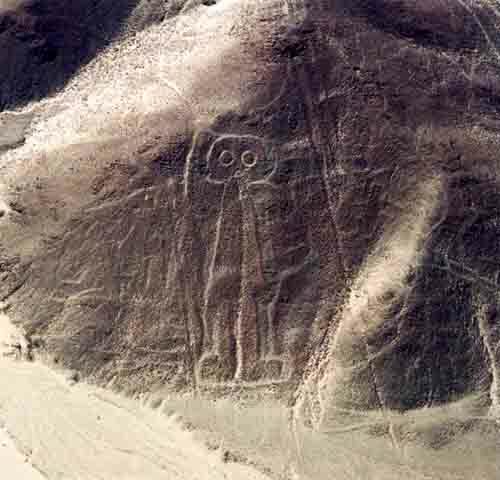 Proponents of the alien culture theory also point to one Nazca drawing in particular that they say depicts an ancient astronaut (as seen above). The Great Sphinx of Giza is located on the west bank of the Nile River in Giza, near modern-day Cairo, Egypt. It is the oldest known monumental sculpture and is still considered the largest monolithic structure in the world. It stands near its sister ancient wonders of the world The Great Pyramids of Giza. It is generally believed that the Sphinx was constructed around 2500 BC around the same time as the second great pyramid and was built as a monument along with the pyramid as part of the funeral service for Pharaoh Khafra, but archeologists cannot come to a consensus as there is evidence to suggest that it was built much earlier. 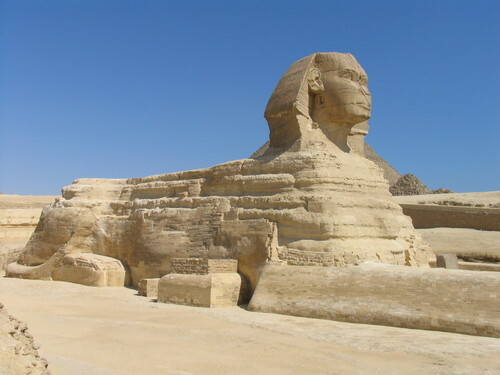 Gaston Maspero, a French Egyptologist, concluded after his survey of the sphinx that there is empirical evidence to suggest that the sphinx was all ready buried in the sand at the time of Pharaoh Khafra. This is based on a hieroglyphic that Maspero says tells the story of the excavation of the sphinx, not the building of it. This controversy has led to many fringe theories on the creation of the sphinx. There are already theories that suggest that the Ancient Egyptians did not have the technology to build the Great Pyramids and here is an object now thought to predate the pyramids. How was this massive monument created? Stonehenge is a prehistoric monument located in Wiltshire County, England. It is undoubtedly one of the most mysterious sites in the entire world. It is seeped in tradition, folklore, and the Nordic religion, but no one is for sure what the ancient people of England used these stone monoliths for. Were not even sure who actually built these mysterious structures. Some have suggested that the site was an observatory, other believe that it held some sort of religious significance, and some believe it to be more supernatural in origin. There is a folk story that tells the origin of at least one stone, the Heel Stone. The Heel Stone lies just outside the main entrance to Stonehenge and leans towards the stone circle as if it is directing the way to the monument. The story goes that the devil built Stonehenge in a devious plot to preoccupy human beings using their own curiosity against them, but a holy man saw the devil building the monolith and swore to tell the world of the devil’s evil plot. The devil hurled one of the stones at the holy man as he ran away. The stone struck the holy man’s heel and then stuck in the ground. This story is obviously just folklore, due to all the judeo-Christian elements as the structure is dated back before the rise of Judaism and Christianity in Europe. Along with other theories of aliens and living Nordic gods, is a macabre theory that suggests that the site was used as a place of human sacrifice and sexual rituals by a heathenistic pagan civilization. This theory though has very little evidence to support it and seems to be based more on prejudices of early humans before modern religion than anything else. It seems that the purpose of this structure can only be theorized. 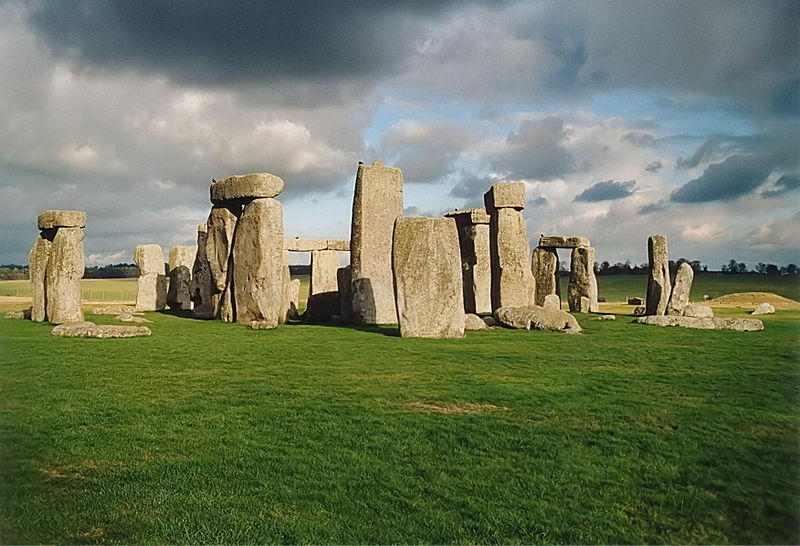 The true purpose of Stonehenge seems to be lost to time. On a tiny Polynesian island in the southeastern Pacific Ocean stands a large group of monolithic structures that, by comparison to some of the other places on this list, are young. The Easter Island Heads, referred to as Moai, were built sometime between 1250 and 1500, but their purpose and the reason for their construction still remains a mystery. Most believe that these statues were erected to honor the ancestors of the tribes that once inhabited this island, but the true purpose of these statues have been lost to time as the original inhabitants of the island lost their lives to either European slavery or European disease. The island is home to so much tragedy that many claim that it has ghostly inhabitants. Current residents on the island claim to see the ghosts of the original natives of Easter Island traveling along the ancient roadways that they carved out centuries before. 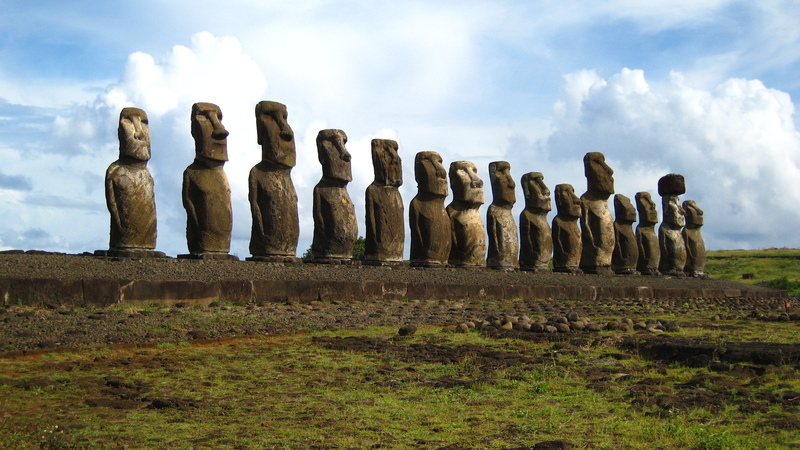 Combine these stories with the eerie statues always watching you and Easter Island is not only mysterious but an incredibly frightening place. In the South American wilderness, a place that humanity today would find nearly uninhabitable lays an ancient civilization that managed to master mathematics, understand the stars, and developed a writing system. Along with all these amazing accomplishments many believe that the Mayans had another special gift. The ability to see into the future and that their calendar and other structures and writings have foretold and continue to foretell what the future holds for us. The Mayans developed a very long calendar that ends on December 21, 2012. This has led many to believe that the Mayans with all their astrological and mathematical know how believed that this would be the day that the calendar would no longer be necessary as that would be the day that time itself would stop and the world would end. Many doomsday theories including black hole alignment, massive solar flares, and polar shifts are theorized to occur on December 21, 2012. Though almost all scientists disagree with these doomsday theories they still persist. I believe that the doomsday hysteria that is leading into 2012 is unnecessary hysteria, but it does illustrate the massive amount of respect that we all have for this advanced, yet fallen civilization. The ruins of their once great cites symbolizes the biggest mystery of all and one that needs to solved before we meet a similar fate: Why do such fantastic civilizations fall?